Owen Shroyer is The Cuck Destroyer, so the saying goes. 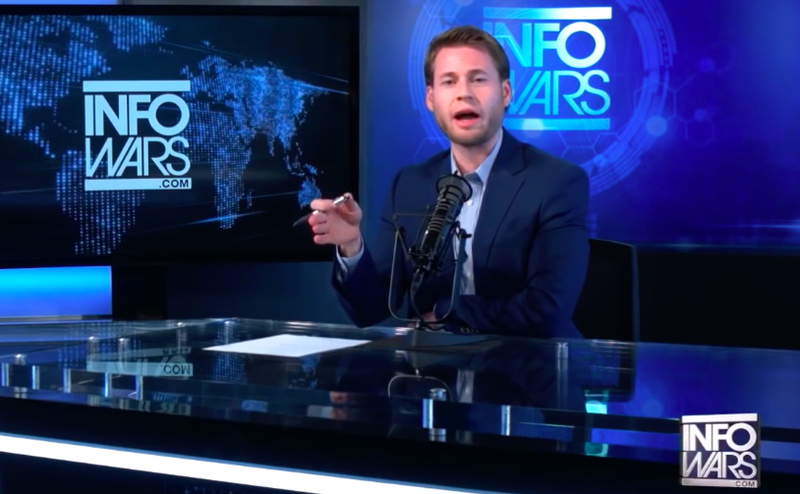 A rising star in the world of right-wing bedroom broadcasting, Owen recently joined Alex Jones’ through-the-looking-glass-news channel Infowars as a talking head. The recent college graduate used to rant about the Clinton Foundation from his sofa, but he shot to fame earlier this year when he was put on the show. Now he fumes about George Soros, the MSM, and what they are trying to suppress alongside Alex Jones, the tinfoil hatter of American media. 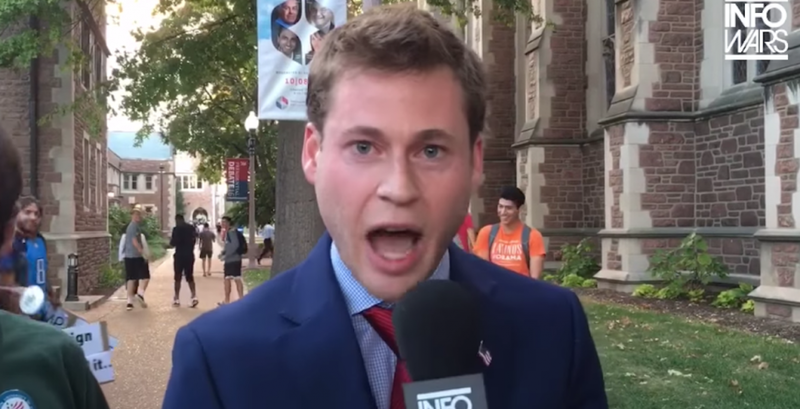 But how did he get the nickname, Owen Shroyer, The Cuck Destroyer? 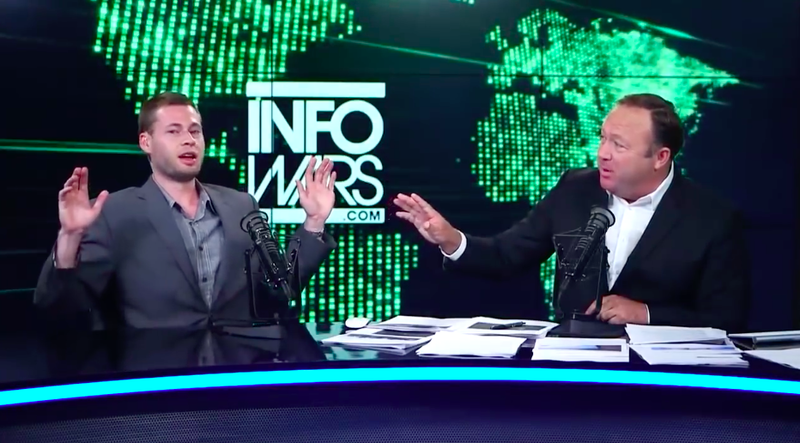 What’s it like working for Alex Jones (a man who says 9/11 was an inside job, fluoride in the water is out to get you, and the government is trying to turn you gay)? And could he please tell us who or what is a cuck? We phoned up Owen to find out. Hi Owen. So why do they call you Owen Shroyer, The Cuck Destroyer? Have you seen the original AIDS Skrillex video from St Louis? That started after this video went viral on Reddit. So the word “cuck,” in this instance, is referring to someone who’s weak-minded, or will kowtow to whatever the authority says. They’re never gonna question anything and they’re never gonna look into anything for themselves. They’re just going to go along with the mainstream, they’re never gonna have an original thought. So I guess the reason why they call me The Cuck Destroyer is because I face these people en masse, and I make them look like total cucks. It’s sad because that’s not what I want. I get along with most people, to be honest. It’s sad we’re so polarized by politics, but it’s the nature of the beast. When I go into the streets and I talk to people, I’m a man. I have facts, I have points, I back myself up. I’m not afraid either. I’m not gonna back down because people are trying to intimidate me. I think that’s how that nickname came about. You’ve been called a rising star of the right wing – tell us a bit about your work. Honestly, I don’t remember who first printed that story. I think my boss at Infowars saw that too, which gave them a little prod into hiring me. But no, the truth of the matter I was working in sports media, and I might have a talent for it, but the reason why someone like me can become popular in such a short span of time is just because I’m real. I’m filling a void that Americans have been looking for for a long time. I’m saying the things that they’ve been thinking for a long time. For me to be considered a rising star or whatever, that’s a nice compliment and I take it to heart, it’s humbling, but I think it’s more the American people looking for someone who’s not going to cater to an agenda, or whoever pays for their news to get on air. They don’t want someone who’s afraid to say something that might be politically incorrect or might go against the grain. That’s what drew me to people like Alex Jones. And I think more than anything, at least what I’m noticing is that the younger people that are really resonating with the things I’m doing because they feel and think the same things, they just don’t know how to make sense of it. My work is just an attempt to live in reality and share that reality with whatever audience I have. And that’s been a void in Americans’ lives for so long. They say we’re fake news, but the truth is fake news has been dominating the media in this country for decades and we’re real news. You know, I don’t need a verification from Twitter, I don’t need a college degree, I don’t need any of this crap. I just need to be real, investigate, find out things for myself. Everyone in this country has the First Amendment right. The more they demonize us, the more they run segments on CNN saying Alex Jones is a conspiracy theorist, the more people are gonna come to us. At the end of the day, they are looking for something new. I’m just trying to figure out the way the world is run. I’m a bulldog and and that’s why people are attracted to the kind of media that we do. So who’s the top cuck in politics? Marco Rubio. Mitt Romney. They’ve exposed themselves as total cucks. I can’t believe Mitt Romney is considered by Donald Trump for Secretary of State. I would be shocked if that happened, considering the cucking from Romney. He was praising Trump when he wanted to be president, but then Trump wants to be president and now Trump’s a conman, according to Romney. So that would be a total political cuck. How about Bernie Sanders for lead cuck? Here’s a guy who’s an Independent his total political career then switches to Democrat to run for president, says Hillary’s bad during her campaign cycle, says she’s unstable, not qualified. Then loses to her because of a rigged election, then totally cucks to her! He endorses her! Lead cuck in politics, it has to be Bernie Sanders. I would say probably Don Lemon. It’s tough, because media is different. These guys are just total shills. Chris Hayes, Rachel Maddow. They’re always that way, they’re always pouring out the establishment narrative. It’s harder to say who’s a total cuck. I would say Don Lemon – I’ve met him before. The guy is a total wuss, a total fake. He can’t even do a segment without a teleprompter. The only thing he’ll be able to say without a teleprompter is something insulting based on identity politics. He’s a total cuck. I tried to have a conversation with him one time and he ran away from me. Don Lemon is the biggest cuck in American media. You heard it here first. Top cuck in sport? Oh man. You know what, I’m not going to give it to Colin Kaepernick. Even though I think he’s ignorant and I disagree with what he’s done and said, it took a lot of courage for him to continue to do this. He’s received a lot of backlash. So I’m going to go for the top cuck in sport as Megan Rapinoe. She’s a female soccer player, she plays on the United States women’s national team. She led protests multiple times during the national anthem, kneeling, very outspoken about it. You represent this country, you play soccer for this nation, and you’re going to nail during the national anthem. If I was in charge of the United States national team, I would have kicked her off immediately, and never let her back on the team unless she released a scathing apology for her behavior. Top cuck in sport is Megan Rapinoe. That is pathetic. Big one here: top cuck in history. Biggest cuck of all time. That requires a lot of thought. I’ve only lived on this earth for a quarter of a century, so it’s tough to lay into that. Off the top of my head… maybe Obama? You can go all the way back in history. You could say Judas if you wanted to. Yeah Judas, cucking to the Romans for Jesus. That’s a good one. Top cucks in history… How about this! George Soros! Soros betrayed his own Jews in Hungary, he worked with his uncle. He said he did what he had to do to survive, but I’m sorry he still went around and collected the property of his fellow Jews. Soros as top cuck in history.